Certified Pre-Owned 2019 Kia Sorento LX AWD – Rear Camera, Bluetooth, Heated Seats & Mirrors, 7” Display, & More! Certified Pre-Owned 2019 Kia Sorento LX AWD – Rear Camera, Bluetooth, Apple CarPlay & Android Auto, 7" Display & More! Certified Pre-Owned 2019 Kia Sorento LX AWD – Rear Camera, Bluetooth, Apple CarPlay & Android Auto, 7” Display, & More! Certified Pre-Owned 2019 Kia Sorento LX AWD – Rear Camera, Bluetooth, Heated Seats & Mirrors, 7” Display & Lots More! Certified Pre-Owned 2019 Kia Sorento LX AWD – Rear Camera, Bluetooth, Apple CarPlay & Android Auto, 7” Display, Plus More! Certified Pre-Owned 2019 Nissan Rogue SV AWD - Rear Camera, Bluetooth, Heated Seats, Apple CarPlay & Android Auto, Plus More! 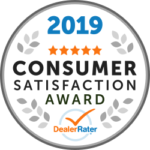 Certified Pre-Owned 2019 Hyundai Santa Fe Essential AWD - Apple Car Play/Android Auto, Heated Steering+Seats, Safety Package and more!